When Luke checked the sheep yesterday he discovered a low bit of fence that the sheep were very interested in! 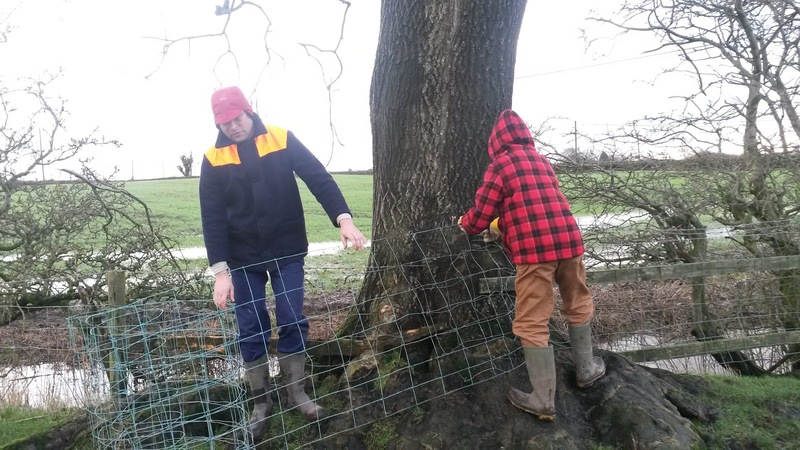 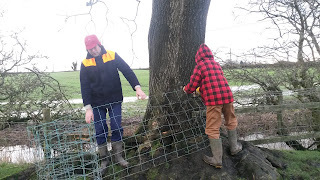 Rather than having to find escaped sheep Luke and Mark decided to mend the fence this morning to keep the sheep in our field. 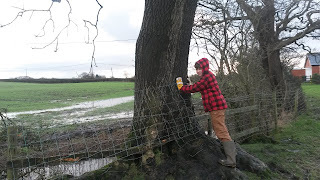 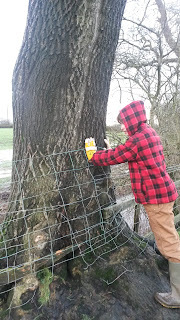 Luke's UFA gloves kept his hands warm and they soon had the fence mended. 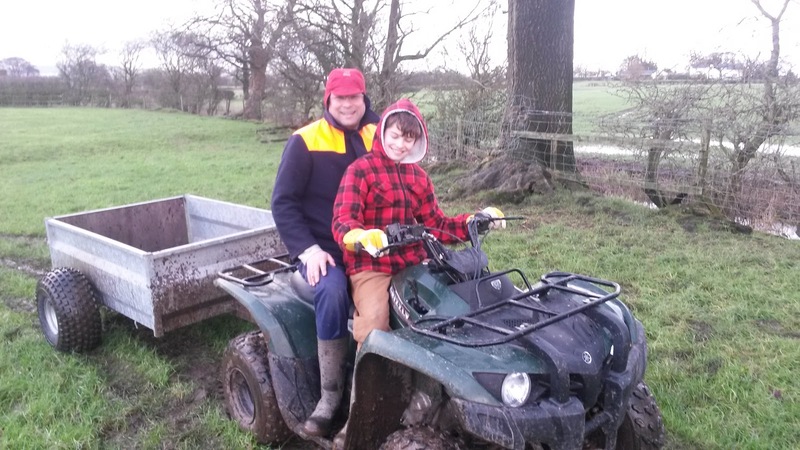 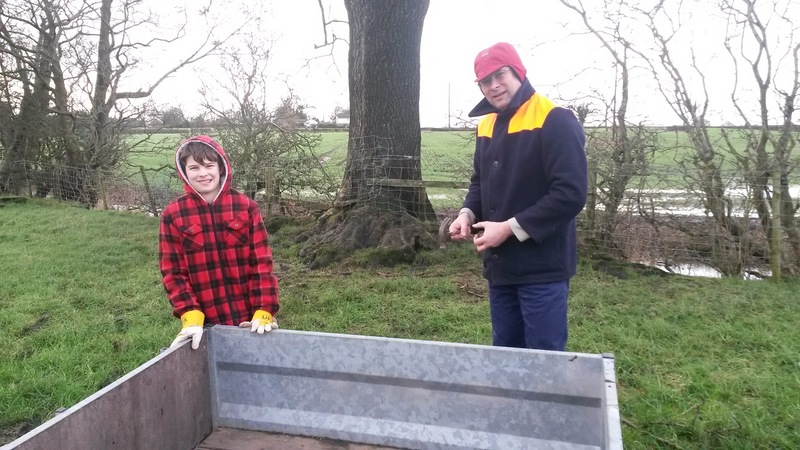 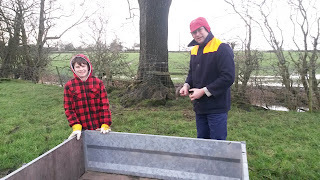 Luke then drove the quad bike back home, unloaded the trailer and then washed it before taking it back to the shed.